How Do You Solve an Optimization Word Problem? Optimization problems are used everyday to help businesses figure out how much of their products they need to sell in order to make a profit. Follow along with this tutorial to see a real world problem involving optimization! 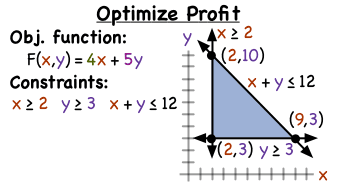 If you want to solve an optimization problem, you can use linear programming to help! This tutorial introduces linear programming and the different pieces of this method.